One of the biggest problems homes in Florida deal with is humidity creating mold and mildew. While mildew is an unpleasant-looking nuisance capable of damaging wood and drywall, mold can present a more serious hazard—toxic mold spores. But mold spores are only one of several organic pollutants that may be circulating through the rooms of a home. Standard air filtration systems and air purifiers are often ineffective at stopping spores, microbes, bacteria, viruses, and general “icky” stuff. If your home suffers from organic contaminants that lower the general health of the household, you’ll need a powerful, professional solution. This is where we introduce you to the UV air purifier, aka UV germicidal lights. Your ductwork can become the perfect place for mold growth if not cleaned and maintained. Mold thrives in areas that are cool, dark and moist, and it only takes a single spore and a little bit of moisture to develop a mold problem. Mold is a biological organism, so simply cleaning it off may not completely remove the spores; to truly eradicate mold, it needs to be destroyed. UV germicidal lights can be great weapons against mold growth in Jacksonville, and Touchstone Heating and Air, Inc., can help you with professional installation. Mold can cause a number of health hazards and greatly decrease your indoor air quality, so it’s important to remove it as soon as possible. Aggravation of allergies – mold spores irritate a wide range of people, particularly those who have allergies. 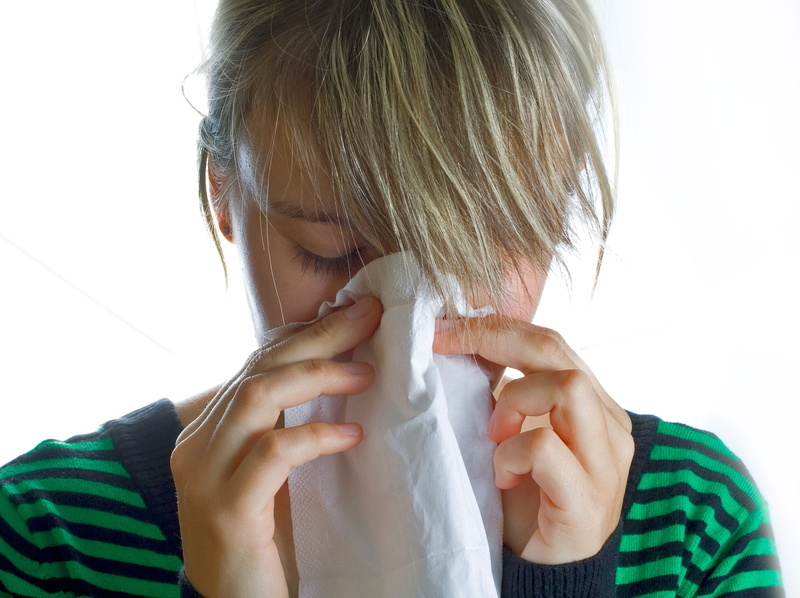 Sneezing, coughing and wheezing are all typical allergic reactions to mold. Asthma attacks – mold spores can bring on asthmatic reactions, resulting in attacks. Exposure to mycotoxins – mycotoxins are harmful metabolites produced by mold spores. There are a wide range of reactions people can have to mycotoxins, including skin rashes, respiratory issues, vision impairment, neurological issues, fatigue, circulatory problems and others. UV germicidal lighting uses UV-C lights rays to destroy the DNA of biological pollutants like mold. The radiation from the UV-C rays kinks a cell’s DNA, while also destroying the life-sustaining proteins the cell needs to survive. As such, UV lights not only destroy living cells: they ensure that these cells cannot replicate, thereby eradicating further growth and infestation. UV lights are over 99% effective in destroying biological contaminants. Typical placement for UV lights is in ductwork and over the evaporator coils in your indoor unit. The most common sign of mold growth in ductwork is a musty, stale odor that you’ll smell when your air conditioner cycles on. If you are smelling this odor coming from your vents, it may be time to consider the installation of UV germicidal lights in Jacksonville. Have questions? To learn more about UV germicidal lights call Touchstone Heating and Air, Inc., today and schedule an appointment with one of our experts. What Are UV Germicidal Lights and How Do They Work? UV germicidal lights sound like some complicated piece of equipment out of a mad scientist’s lab. In fact, they operate according to very simple principles and can do wonders for your home if properly installed. They improve the quality of your air inside your Gainesville, FL home, connected to your HVAC system and filtering out all manner of contaminants. What are UV germicidal lights and how do they work? A brief rundown follows. UV stands for “ultraviolet,” a part of the light spectrum that we can’t see, but which has a profound effect on germs and bacteria. Exposure to UV light renders germs unable to replicate. The light basically acts as a sterilizer for your home without resorting to harmful chemicals. Air passes through the light, exposing any bacterial or other pathogens to it and effectively destroying them in the process. When attached to a centralized furnace or air conditioner, it can process a large percentage of the air in your home, improving the air quality immeasurably. This is beneficial to all members of your household, but especially those who suffer from allergies or possess similar sensitivities. Here in Florida, allergens are everywhere, and the presence of mold and bacteria can pose an active health risk for certain individuals. UV germicidal lights form a strong line of defense against sickness and disease, as well as making your home a more comfortable place to live. 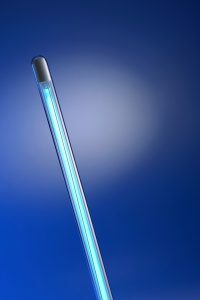 For more on UV germicidal lights and how they work, contact the experts at Touchstone Heating and Air Inc. We handle UV lights and other air purifiers in Gainesville, FL, and we can perform both installation and repair services with the professionalism and courtesy you expect. Give us a call today! Posted in Indoor Air Quality | Comments Off on What Are UV Germicidal Lights and How Do They Work?